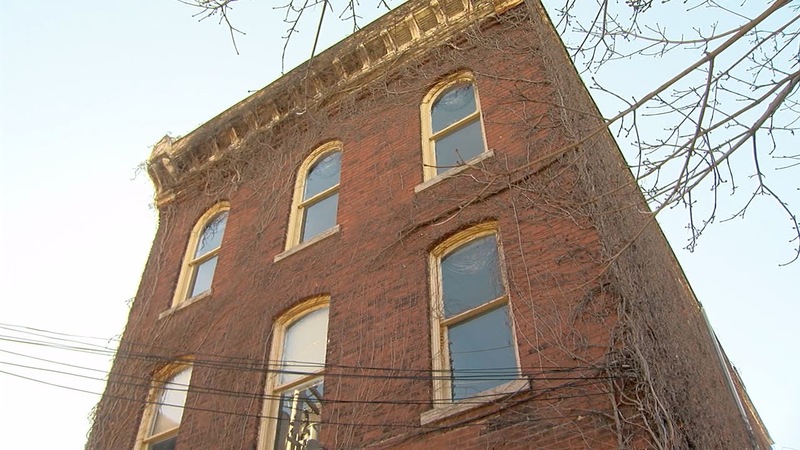 Neighbors are puzzled and frustrated by landlord Chuck Dobucki, whose properties sit vacant on prime real estate in Buffalo. BUFFALO, N.Y. (WKBW) — To neighbors of Chuck Dobucki, it all makes no sense. At a time when real estate values in Buffalo are on the rise, why would someone own houses and apartments on prime property -- steps from downtown -- and refuse to upgrade them, or in some cases, even rent them out at all? "It’s just mind-boggling, you know?" said Mark Soper. "They’re worth a lot of money, and people would line up to buy these, to remodel them for what they’re worth. He just won’t sell them." Soper lives on Cottage Street in the historic Allentown neighborhood. He owns property next to the Coatsworth Mansion and said one of his neighbors recently sold his multi-unit property for around $500,000. But across the street at 40 and 42 Cottage, the two flats owned by Dobucki look as if they're frozen in time. Not just peeling paint, stuffed gutters and roof issues, but also a visible grime reminiscent of Buffalo's steel era, when Dobucki started buying up some of these properties. On one side of the street, a mansion. On the other, a slum. "The street has lived with this for 35 years, or maybe more," said Tim Ashton, a neighbor. "[The] neighbors do cleanup around the house. He doesn’t do the snow, he doesn’t do the leaves, he doesn’t do anything." Dobucki will appear before Housing Court Judge Patrick M. Carney on Tuesday to answer for multiple violations at his property on Cottage Street. (Click below to read the specific housing violations from the city). Dobucki also owns three-story brick rowhouses on St. Louis Place and Johnson Park. Both streets are quiet hideaways tucked off Main Street and Elmwood Avenue, respectively. They're within walking distance to many restaurants and they even have gates to keep out through traffic. Yet both properties sit vacant, one with a broken window and piles of mail, the other so neglected the city refused to issue a certificate of occupancy. Like their counterparts on Cottage, they are two missing teeth in an otherwise improving smile that is downtown. "All of them could be fantastic properties," said Patty MacDonald of Project Slumlord. "They're falling down -- I mean absolutely falling down." Public records show Dobucki has owned the house on St. Louis Place since 1979. He bought one of the homes on Cottage in 1987 and the other in 2002. "He’s always in Housing Court," Soper said. "He never does a thing they tell him to do. It’s a shame." Watch 7 Eyewitness News at 6:30 a.m. Thursday to hear more about these properties and watch 7 Eyewitness News at 11 p.m. Thursday for a full report on Dobucki's appearance in housing court.